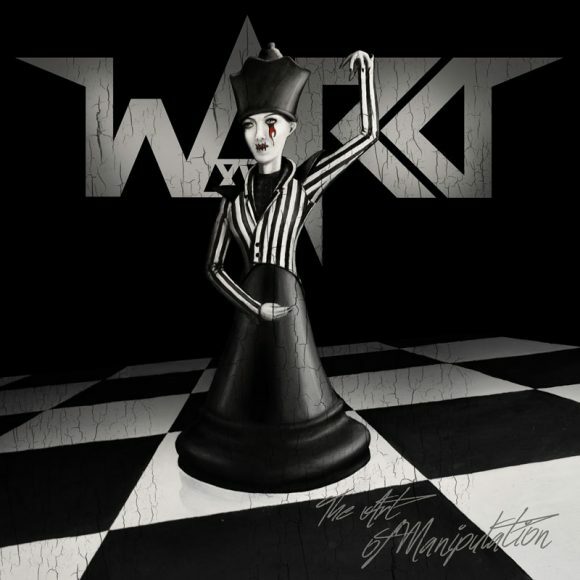 Earlier this month, northern metal outfit – though they describe themselves as “theatrical avant-garde rock” – Ward XVI released their debut album, The Art of Manipulation, which follows the story of a female psychopath locked away in a high security asylum. Having seen this band before, when the news came out that Ward were releasing this album, I immediately knew I had to listen to it. Starting with the generically named Intro, the track starts the story written within the album, as a rather sinister and villainous psychiatrist is heard talking to his patient, who replies stating that she’s “not insane”. Take My Hand is a light trance inducing track before it changes at the flip of a coin into a pure, chaotic guitar barrage. The title track, The Art of Manipulation, stands out with its ephemeral passages that appear between the faster, hard hitting sections of the song. The vocals come across exquisitely with the ebb and flow of the track. There are three interludes on the album, each of which serve the purpose of moving the story forward with more dialogue. As the first interlude finishes, The Flight comes bursting in like a hand grenade, as the the guitars merciless blare out their rhythmic, almost hypnotic riffs. The use of keyboards on this track comes as a welcome surprise, adding a new dynamic to it. The vocals are very much good ol’ fashioned rock ‘n’ roll as they race along side the keys and guitars. Crystal Ball has its own little charm as the sounds of accordions blare over the driving guitars and thundering rhythm sections. A reassuring and warm piano melody leads the way in Hold Me, adding an expected emotional feel to not only the song but the album as well. Blackened Heart is a poignant track, with memorable vocal lines and a contrasting use of guitars, the rhythm section and keys, with one section being quite nu-metalesqe in its composition while Run For Your Lives jumps in the sound of wailing sirens before a haunting accordion melody is heard. The track being proceeds into barrage of drums flanked by raging guitars and energetic vocals. Adrenochromania is quite a misty and cimmerian track with a lot of mesmerising passages. Cry of the Siren is an aggressively energetic track as the guitars and keys go toe-to-toe with one another between vocal lines. Toy Box however contrasts greatly, taking a slower pace verging on the edge of a traditional and folkier sound with the accordion commanding the song. Inner Demon diverges onto a different route with a unique sound that really shows the theatrics of the band. The Art of Manipulation closes its curtains with a song named after the band: Ward XVI. It is quite a solemn listening affair, as the vocals call out like a Plutonian requiem while the keys and guitars have become the musical incarnation of a somber midnight sky. Ward XVI have done something spectacular with The Art Of Manipulation, while their on-stage theatrics don’t translate well into recorded form, their story telling and unique melting pot of different styles and influences speaks for themselves. Two more bands have been announced to join the likes of Theatres des Vampires, Old Corpse Road and Alwaid at the second edition of the UK’s leading symphonic metal festival: Northern Symphony. It’s a massive honour to have been picked to headline the Infernal Orchestra stage. We’re all excited about the festival and we always enjoy our shows in England. We look forward to seeing you all there! Joining Maelstrom on the Infernal Orchestra stage are Ward XVI, who describe themselves as theatrical avant-garde rock. Mixing haunting melodies and female vocals with heavy guitar passages and the occasional segment of accordions, Ward XVI are an interesting addition to the festival. Northern Symphony Festival will take place on Saturday 16th April at The Venue in Selby. In total, there will be 14 bands across 2 stages. The Midnight Waltz stage will be headlined by Italy’s legendary vampire-themed metal band THEATRES DES VAMPIRES. Advance tickets are available for £15 from the festival’s BigCartel store.Further information is available at the festival’s official Facebook page.